Bridge (Improver Level 1) is course run by Donahies Community School, Dublin. It is a 'Classroom Based' course with a duration of 8 weeks. For more information about Bridge (Improver Level 1) at Donahies Community School, please review the details below. Play Bridge on Wednesday evenings at Donahies Community School in Dublin. A course for novice bridge players who have completed a basic 8/10 week bridge course and wish to improve their skills. The Bridge (Improver Level 1) course at Donahies Community School is listed in Courses.ie's national courses finder. 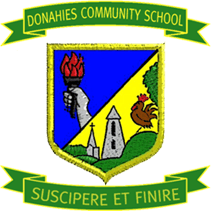 For information about Donahies Community School, please visit our Colleges page on Courses.ie by clicking here.